Since we are all going to be chatting to one another more often now, can the makers of the game please fix the chat? 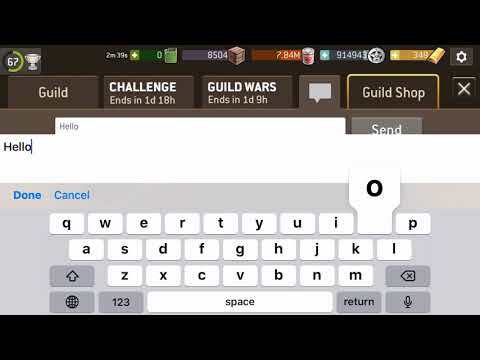 I’ve been playing for a year and a half and I am tired of not having access to basic auto correction on my iPhone while I play this game with the native keyboard. PLEASE let autocorrect work in the guild chat area. Thqnk yiu un adbance (this was an example of what the in game chat experience is like). Do you type in more than one language? I have the Japanese KANA keyboard activated as well as a third party keyboard Called TextExpander. I usually type in English though with the native English keyboard the autocorrect is disabled when I type in game. Here is a video of the spellcheck NOT working in the game. This is the native English keyboard. For the record, spellcheck is working PERFECTLY on the same keyboard as I type into this browser. @Kaz any ETA on when this will be fixed? It has been annoying for the past year and a half. Allowing copy&paste and hyperlinks would be much more useful. I would like to post links to screenshots and youtube videos, but now it's impossible.